For over 50 years, Nardy Pest Control has provided pest control services for the East End of Long Island, from Moriches to Montauk. Our services include monthly maintenance programs, deer tick and mosquito control programs, and general insect and pest control service. Each year, the tick threat on Long Island grows. Protect your family and pets with our all-encompassing tick control programs using the latest pest control technologies. Mosquito-borne illness is not a laughing matter. Your safety is our main concern with each of our mosquito control options. Take a look at some local inhabitants of the East End (and we're not talking neighbors!) 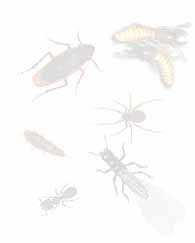 There are many insects and pests that Nardy specializes in controlling, from ants to raccoons to earwigs. We pride ourselves in our staff--secretaries and technicians alike. Please feel free to call us with any questions you might have. Get detailed information on local insects. "Ant" Banner Design © Copyright 1995-2001 by Denise and Dale Spencer. All rights reserved.